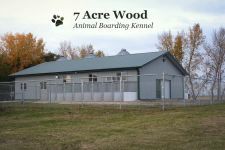 7 Acre Wood Animal Boarding Kennel offers boarding services approximately 40 minutes South of Winnipeg, Manitoba. Our business has an approved business license and is a fully insured business. Our facility is Provincially inspected and approved. Our kennel facility is located on our 7 acre property West of Morris, MB on 55 Highway 23. 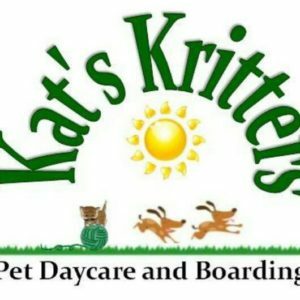 We provide dog boarding services as well as cat and small critter boarding. We are passionate about the welfare of animals and care strongly about spending quality time with each dog, cat, and small critter in our care. Each pet in our care is provided with numerous opportunities through out each day to relieve themselves, exercise, play, and socialize indoors and/or outdoors. At their owners request they may be walked, interact with other boarders, or play individually; all at no extra charge. We enjoy working with and caring for all types of animals, and we offer not only personal experience but professional experience in the animal care field. 14 spacious and well-maintained dog kennels with dog-doors for both indoor and outdoor access. If weather permits, there is all-day access except at night. A fully fenced outdoor play-area where there is opportunity for supervised exercise, socialization and play-time. A separate room for cat boarding and small caged critters. We have 2 cat condos which can be split into 4. We also have 3 rabbit enclosures of varying sizes for small critters. Leashed-walks around our 7 acre property. Special care such as administration of medication. 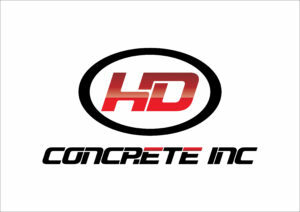 Give us a call for your next foundation project at 204-712-6666 or visit our Website by clicking here! Lily Stone Gardens is a year round floral design shop and seasonal cut flower farm offering unique and stunning florals for every occasion. We strive to be unique by utilizing as much of our own grown flowers as possible during the seasonal months. Our passion is flowers…from growing to designing with some of the most sought after varieties that create bouquets and arrangements with a completely custom feel. We offer flowers for every occasion and specialize in stunning wedding arrangements. Whatever your flower needs may be, you’ve come to the right place. Have a look around and if you like what you see contact us for a consultation or to place an order.